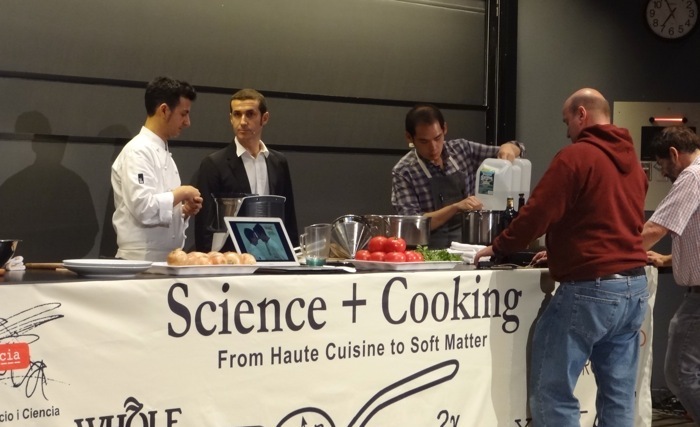 Science and Cooking at Harvard SEAS, 2015! 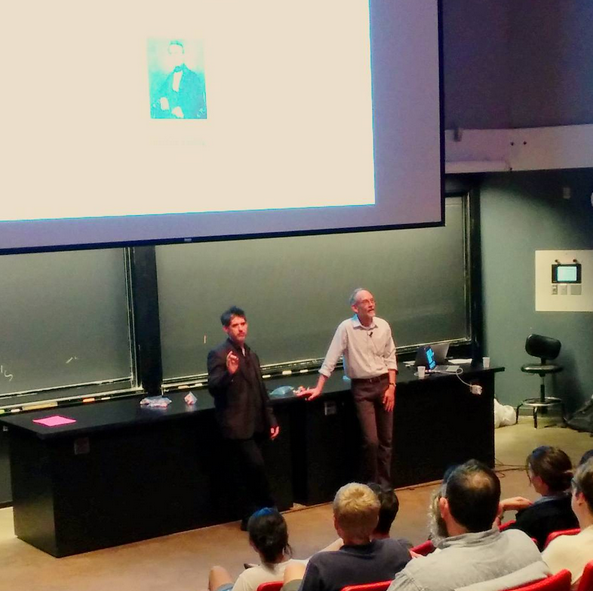 It’s been a long while, so I decided it was high time to hang out in lecture hall C of Harvard’s Science Center for the opening lecture featuring Harold McGee and Dave Arnold last night. Overall reaction? I still have a nerd crush on Dave Arnold. He’s like a puppy when it comes to food science and related interests. How can anyone not like him? 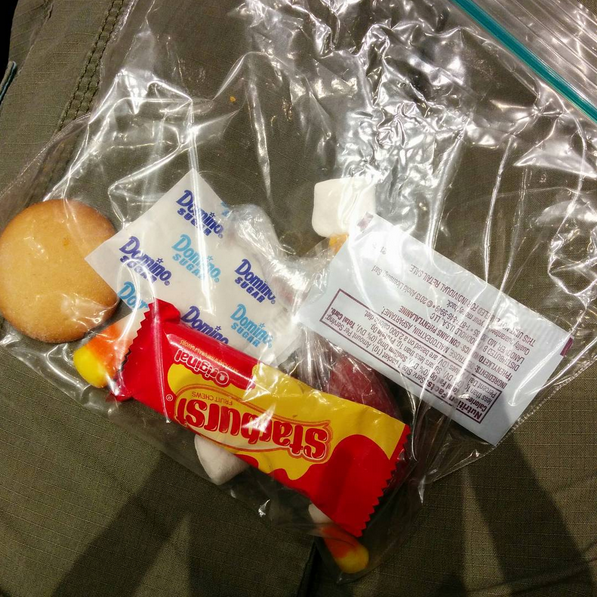 Before the lecture started, the audience was handed plastic packets filled with sugar-related items. I don’t eat a lot of sugar anymore! Join Rachel Dutton and Benjamin Wolfe, food microbiologists at Harvard University’s FAS Center for Systems Biology, for a tasting of artisan cheeses and salami as they share exciting new discoveries in the science of fermentation. The New York Times called fermentation one of the top 10 food trends in 2013. But what is fermentation and how does it transform raw materials like grains, grapes and milk into delicious foods like miso, wine, and cheese? What are microbes and how do they ferment foods? Where do the unique flavors of cheese and salami come from? Why do flavors vary across different producers and how does this relate to ‘microbial terroir’? In this special event, we’ll explore the science of fermentation through the lens of cheese and salami. Benjamin Wolfe is a microbiologist/mycologist at Harvard University, specializing in the microbiology of fermented foods. He has a B.Sc. from Cornell University and a M.Sc. from the University of Guelph. He earned his Ph.D. from Harvard University studying the ecology and evolutionary origins of mushroom-forming fungi. He is currently a post-doctoral fellow with Rachel Dutton at Harvard’s FAS Center for Systems Biology where he is working on several projects exploring the ecology and genomics of cheese microbial communities. He’s also working on a project to characterize the microbial diversity of American artisan salami. Ben has taught food microbiology courses at The San Francisco Cheese School, the Harvard Summer School and is a regular contributor to Lucky Peach magazine. Joanne Chang is a food celebrity around these parts. She’s the owner of Flour Bakery, which originally started in the South End of Boston, and then opened up branches at Fort Point Channel (Boston) and Central Square (Cambridge). She’s been on the food show “Throwdown with Bobby Flay” (Chang’s sticky buns won against Flay’s). She’s married to Christopher Myers, and together they own the restaurant Myers+Chang. She’s written a cookbook, aptly named “Flour: Spectacular Recipes from Boston’s Flour Bakery+Cafe” and I believe she’s finishing up Flour cookbook #2. I’m not a 100% sure, but I think she’s spoken at Harvard before. She’s just never spoken at the SEAS public lectures until now. 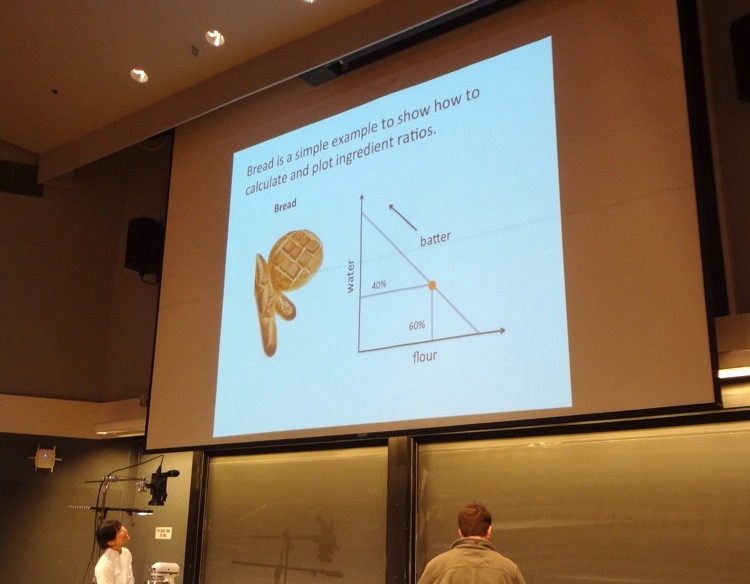 This is what happens when a mathematician decides to plot a recipe by way of ingredient ratios. This entry is going to be on the short side because the lecture ended a little later than usual, which meant that I got home later than usual. Tonight’s lecture was Heat Transfer (for the science portion), and The Science of Paella! Only it kind of wasn’t. haha. Paella would take too long to demonstrate in a lecture so Raul Balam Ruscalleda (son of Carme Ruscalleda) of the restaurant Moments and his service manager Jordi gave us a run through of “soupy rice with lobster.” If we were in Barcelona, it would have been soupy rice with prawns. But we’re in New England, so you gotta make like the locals… especially since the Ruscalleda motto is to use local ingredients.